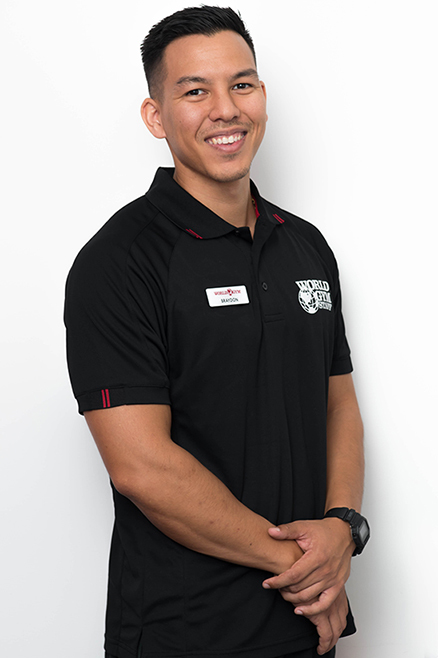 My name is Braydon Vo, I graduated from AUT with a BHSc Physiotherapy in 2010. Since then I have developed my physiotherapy clinical skills through over five years of work in a number of fields. These include private practice, sports physiotherapy, aged care and community. I have also worked as a physiotherapist in a gym at a number of locations in the past (additionally I am also a qualified personal trainer). This allowed me to interact with clients in a broad scope which included rehabilitation, strength training, weight loss, form and technique education. Since moving from Auckland to Brisbane I have resided in the Redcliffe area. For the majority of the time I have worked with individuals in suburbs such as Rothwell, Redcliffe, Deception Bay, Burpengary, Mango Hill and North Lakes. With establishing this physiotherapy clinic I aim to assist my adopted community in being able to access quality affordable physiotherapy services. In the past I have provided sports physiotherapy services for teams such as Toa Samoa Rugby League as they prepared for the 2013 World Cup. Auckland based Richmond Rovers towards their Sharman Cup victory in 2013. And Eden Rugby (Union) Football Club in 2012. I, myself have a background competing in sports previously involved in New Zealand Track and Field events. More specifically I was competitive in the triple jump and the 100m and 200m sprint events. Since retiring from athletics I have been involved in social sports such as Basketball, Volleyball, Touch Rugby League, OzTag (and for those of you who are familiar with the sport, Turbo Touch). In addition to my passion for sports injuries I also have an interest in aged care working with this population to ultimately improve their independence and function. This has been very rewarding as it has allowed many of them to stay in their homes instead of physically deteriorating to the state where they would have to be placed into a nursing home. From being exposed to a wide range of clinical experiences my skills have been refined to help with a broad range of clinical issues which include: various injuries both acute and chronic, bio-mechanics, strength training and rehabilitation. I am passionate about my line of work and take pride in helping clients achieve their goals. I believe that in order to treat an injury effectively you must also identify the underlying cause. This is taken into account when assessing all injuries and conditions and ensures that rehabilitation is completed with a decreased risk of re-injury. I look forward to seeing you at Braydon Vo Physiotherapy so we can work together to help you achieve your goals.